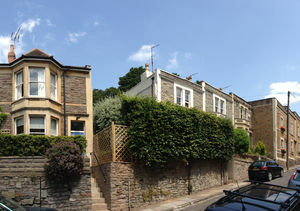 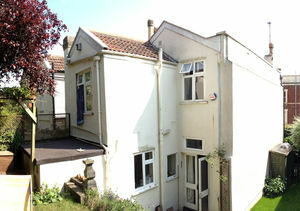 Extension of an end-terrace property on a steeply sloping site in the Cliftonwood Slopes conservation area, in Clifton. 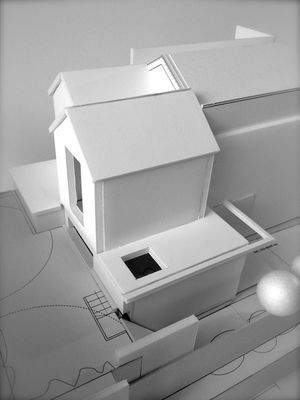 The clients initially approached us to look into the possibility of a roof conversion, in order to provide an additional bedroom for their growing family in their very tight house. 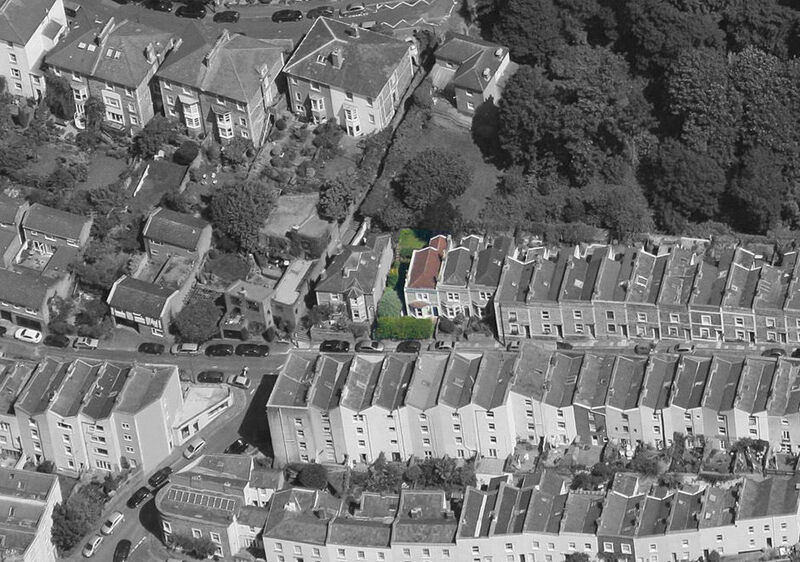 Though small in size, the house is unusual in the Cliftonwood area as it has a large garden to the side – the site of a previous house in the terrace, destroyed by bombing in WWII. 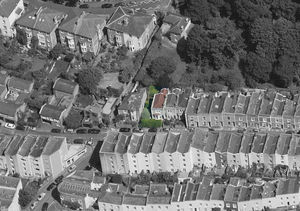 Fit Architects looked at several options for the client, including the roof conversion, though it was felt that this option would have a negative impact on the character of the conservation area and be unacceptable in planning terms. 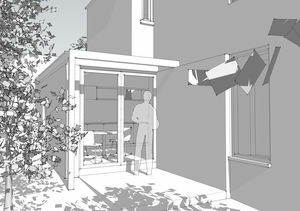 In discussion with the client we finally settled on a proposal to form a two-storey extension to the rear and side of the current house, to provide the additional bedroom and to extend and open the existing living spaces out to the side garden. 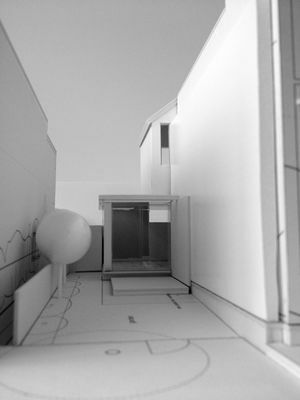 The development of the final proposals involved a complicated and protracted planning process, due to the presence of a side window to the neighbouring house which placed further constraints on the design of the new elements. 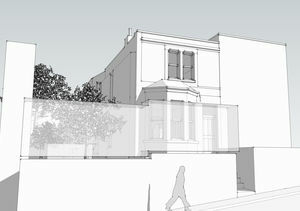 The scheme was granted planning permission in 2014.